I sat and watched as the flames of the little wood heater danced and leaped around the small logs and spread their warmth into the whole room. Somehow it was a beautiful feeling of comfort and warmth and I snuggled into my chair and enjoyed the special place, while a cold wind roared outside. As I watched, I thought about a fire on the beach that Jesus lit for His disciples so long ago when they when they too needed some comfort and warmth. Fire is like that it has the ability to bring comfort and warmth but is also a tool that we can use for both benefit or damage. Having lived on the land, most of my life, I’ve grown with the knowledge that fire is a great tool but a challenging master. Generally speaking, fire is a tool for regeneration for plant life. After a fire has gone over the land, seeds from many species are released by the heat to germinate and bring forth new life. It also destroys pests and brings refreshing to the land. We have a combustion stove for the kitchen that we use mostly in the winter months. In today’s world, many have grown accustomed to being able to turn a switch to get power and light and heat instantly. We love the idea of microwaves, don’t we? Sometimes we even think microwave in our Christian lives. 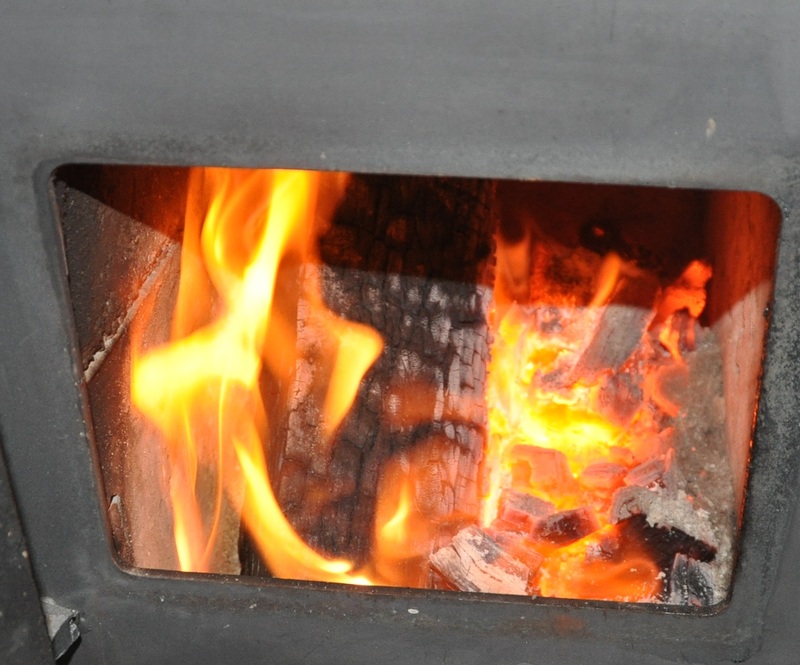 The combustion stove takes a little longer to heat, but is a very reliable source for heating and for food preparation. Requirements: To either start a fire or re-kindle one that has burned down, you simply need wood (fuel) and oxygen (air). 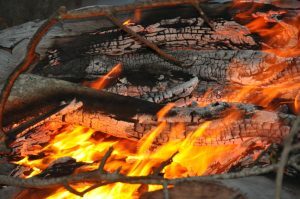 When a fire consumes the wood burns low, so long as there are some coals, one is able to rekindle that fire. With a combustion stove, you need some smaller kindle, then open the vents and allow oxygen to start the flame. I love to watch as the flames stir up and take hold on the wood, then curl around the wood, and start the process of burning to ashes. They leap and dance as they do their work of reducing the fuel and providing warmth. As I light or re-light my fire each time, I am reminded the challenges from the Bible. Just as to start a stove fire, wood and oxygen are needed, so too to rekindle a fire in our hearts, the Word of God (wood/fuel) and oxygen the Spirit is needed to keep ablaze, to fan into flame, the fire that is in us. We are responsible for the condition of our hearts. As I watch the flames, almost mezmerizingly, I ask myself: Do I need a fresh fire of the Spirit to inflame my heart to be a Light in the world? Do I need a fire to burn (reduce) to ashes the rubbish that I have allowed to accumulate in my life? Do I have crustaceans of hurt, pain, unforgivness around my heart that need the fire of God to crack open and allow the regeneration of new life and hope to a new and needy world? Only the Holy Spirit can do this, but we must fan the flame and allow Him to burn afresh in us, to ignite us with His Love, to set us aflame. Jeremiah had Gods Word burning in his heart like a fire. As the disciples walked together after Jesus resurrection, they spoke to each other and said “Didn’t our hearts burn within us as He talked with us on the road and explained the Scriptures to us?” (Luke 24:32) How long is it since my heart has burned within when I heard the Scriptures? Let’s walk again with the Master as the disciples did and have His words burn within, have our fires re-kindled, aflame in the Holy Spirit to shed warmth and love to a lost and needy world. A beautiful song we used to sing says: ‘light your fire, run to the world’ let’s get close to the flame so we are LIGHT and warmth to our communities, our world. 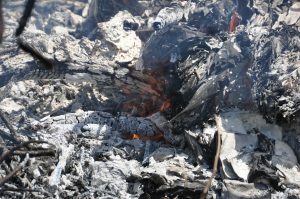 When all the excess, the rubbish is burned out of our lives, then we can burn afresh with the Holy Spirit. Is your fire within almost gone out? Do you need to light your fire, fan your flame?